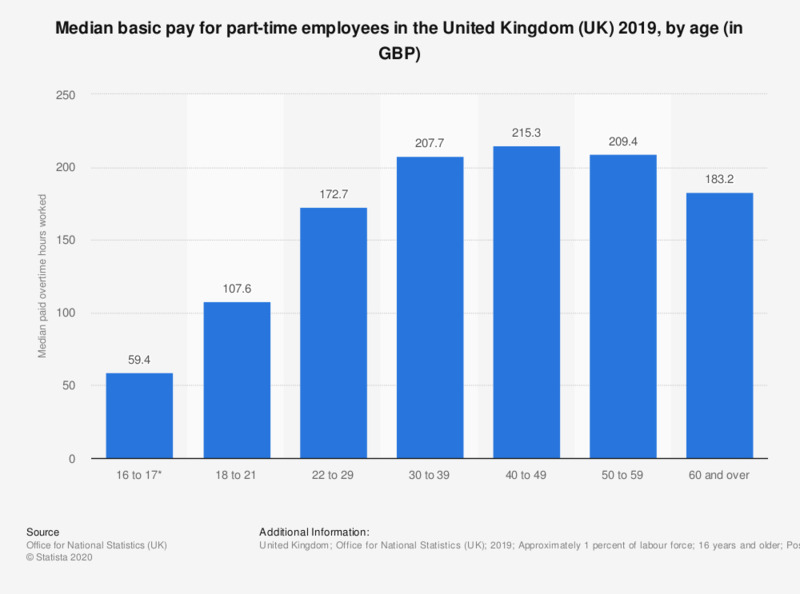 This statistic shows the median basic pay for part-time employees in the United Kingdom (UK) for 2018, by age group. The age group which earned the highest basic pay were those between the ages of 40 to 49 years, at 204.8 British pounds. The age group which earned the lowest basic pay, excluding 16 and 17 year olds, were those between 18 and 21 years, at 100.8 British pounds. *Figures for 16 to 17 year olds include employees not on adult rates of pay.